The new 6000 s.f. 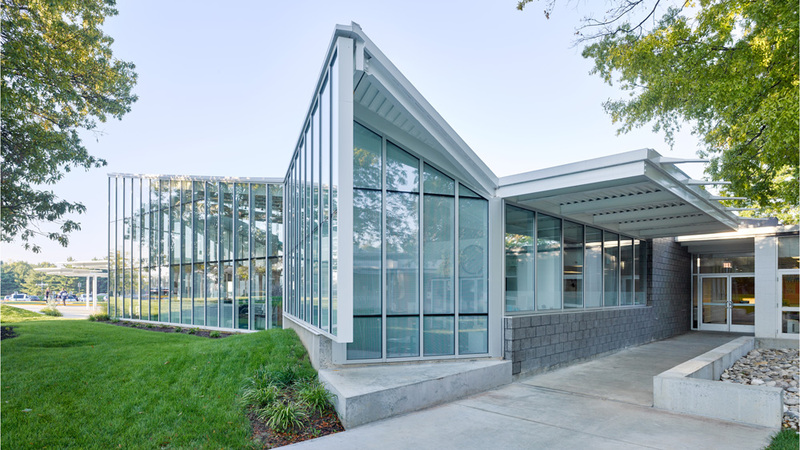 addition reorganizes the program of Cincinnati Country Day School's Lower School, relocating administrative offices and a media room (library) to an expanded entry area. The result is a dynamic new identity and public gathering space for the school where educational activities of socializing, collaboration, learning, and focus converge. The massing of the addition began as a box-like mass attached to the main circulation route - historically referential to the school's 1950's era international style. 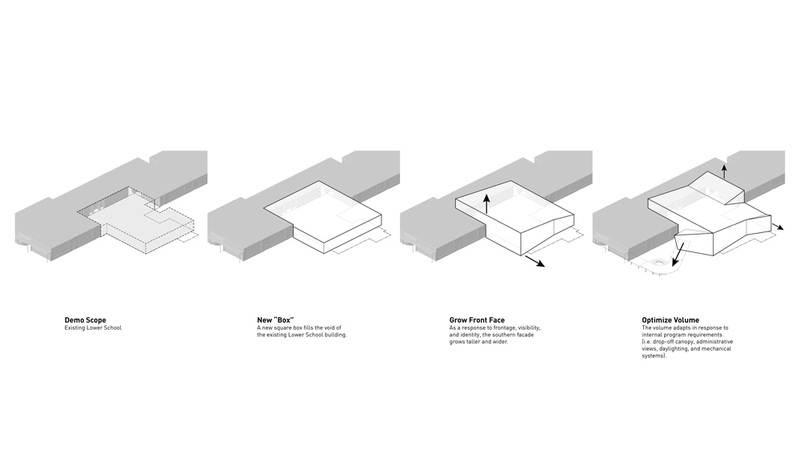 In response to site circulation patterns, natural vegetation, and views to the adjacent campus, the box shell unfolded yielding an angular geometry. Economically framed with steel, the interior of the Commons was filled with undulating wood fins referencing an abstracted tree canopy. 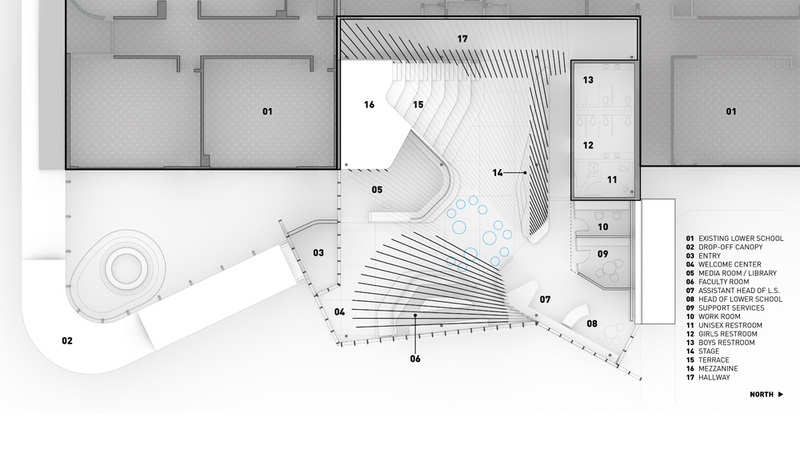 The fins rotate about the Head of School's office allowing for unobstructed views of the students while providing necessary screening of private offices and restrooms.